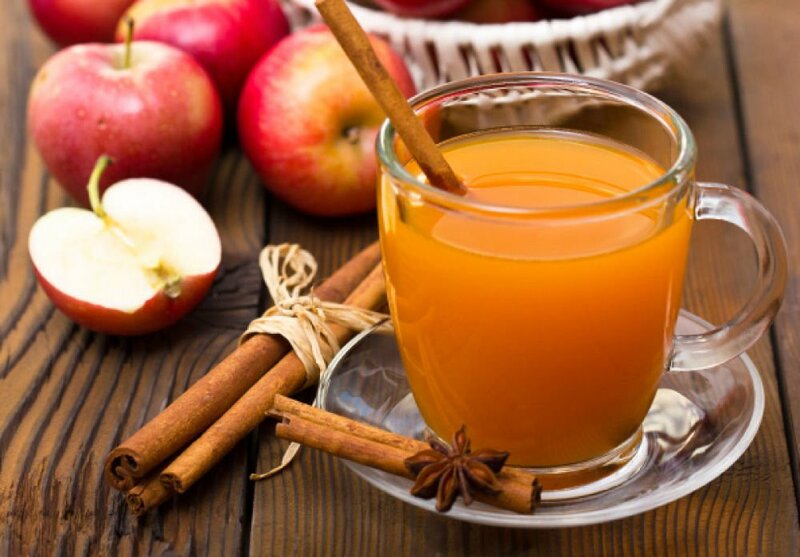 Along with pumpkins and hayrides, the best part of autumn is apple cider. Nothing tastes better than the juice of crushed apples. I buy apple cider by the gallon. At first, my family adores it. But after a while, they move on, sometimes leaving me with a surplus. So I incorporate it into fruit compotes and pastries. 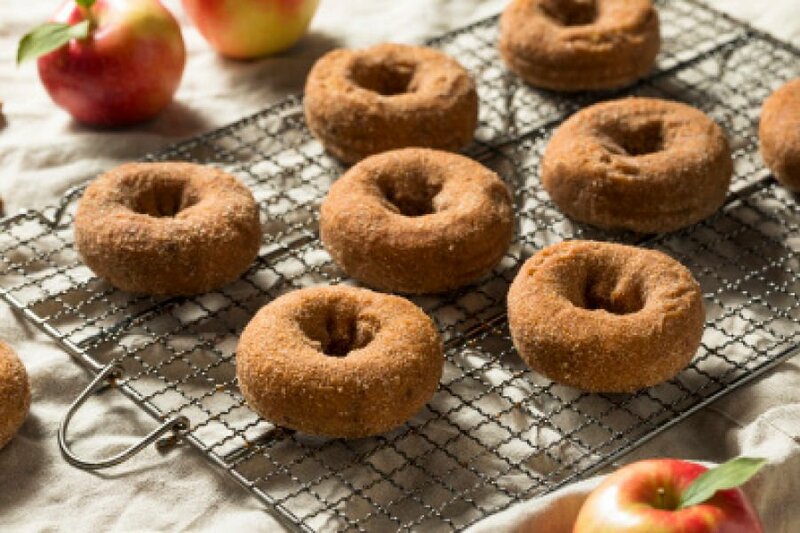 The jewel of recipes is apple cider donuts, but children today clamor for donut holes. “I want to make donuts with cider,” said my 11-year-old granddaughter. So I bought a donut cutter, which is made from two concentric cookie cutters, one smaller than the other, clamped together, The girls and I fried up a batch of apple cider donuts, studded them with cinnamon sugar and devoured them warm. Savoring the flavor of autumn and cider, I know why we repeat this ritual every fall. Peel the ginger root. Dice it and then chop it fine. Reserve. Peel, core and slice the apples and pears into about 12 wedges. In a medium-sized bowl, toss the fruit with the sugar, cinnamon, cloves and salt, until well coated. Pour the maple syrup into a deep, medium-sized skillet. Add a tablespoon of apple cider. Heat it over a low flame until warm. Spoon the fruit and the ginger into the skillet and stir to combine. Simmer on a low flame until the fruit is fragrant, about 5 minutes. Add the apple cider a tablespoon at a time if the liquids evaporate too quickly and the pan becomes dry. Pour 3/4 cup of the apple cider into the skillet and cover it. Simmer it on a low flame until the fruit has softened, about 8-10 minutes. Add more apple cider if needed. Remove the compote from the flame. Sprinkle it with lemon zest and stir to combine. Cool to warm and serve immediately or place it in a glass jar and refrigerate. It can be served cold, at room temperature or warmed in a microwave. Pour the apple cider into a 6-cup saucepan. Cover and heat over a medium-high flame until the cider comes to a slow boil. Reduce the flame to low so the cider reaches a gentle simmer. Watch the cider almost continuously so it doesn’t boil over. If the cider turns foamy and rises quickly, remove it from the flame for a minute. Simmer the cider for 20-25 minutes, stirring occasionally, until it reduces to ¾ cup. Remove it from the flame and cool it, covered, to room temperature. Reserve. In a large mixing bowl, place 1 cup flour, 1 cup sugar, baking powder, cloves, ginger, cinnamon and salt. Stir until the items are combined. Reserve. In a small bowl, beat the eggs and yolk together. In a small pot, melt the butter. Using an electric beater, add the eggs and butter a little at a time to the flour-spice mixture, alternating with the remaining 2¾ cups of flour. Scrape down the bowl with a spatula at least once. The dough will be crumbly and falling apart at this point. Moisten the dough by adding the apple cider, ¼-cup at a time. (You may not need the last ¼ cup, or maybe just part of it.) Beat until the apple cider is combined after each addition and until the dough whirls into a large ball and sticks together. Divide the dough in half. With your hands, form it into two equal-sized disks. Place the disks on a dinner plate and cover them with plastic wrap. Refrigerate for 10 minutes. For cinnamon sugar: In a soup bowl with a rim, place 1 cup sugar and 1 heaping tablespoon of cinnamon. Gently mix them together with a spoon until completely combined. Reserve. Place two layers of paper towels on a plate. Reserve. Sprinkle flour on a counter and coat a rolling pin with flour, too. Remove a dough disk from the refrigerator. Roll out the dough until it is about ½-inch thick. Press the donut cutter halfway into the dough and rotate it back and forth. Lift the donut cutter and pull out the donut and hole. If they get misshapen, press them back into the shape. Lift up the scraps of dough on the counter, roll it into a disk and refrigerate until ready to use. Place the donuts and holes on a platter. Take out the second dough disk and follow the same procedure. Continue making donuts and holes until there isn’t enough dough left to make any more. Form the small bits of scraps remaining into donut holes. Over a medium-low flame, heat the oil in a 4½-quart pot that is 4½ inches deep. As the oil splatters, it should not be any higher than half of the pot’s depth. Using a candy thermometer, if you have one, the oil should reach 375 degrees. Otherwise, let a drop of water fall into the oil from a spoon raised several inches above the pot. If the oil sputters, it is ready. If the oil gets too hot, reduce the flame to low. Using a heatproof slotted spatula, gently ease no more than four donuts and holes (one at a time) into the heated oil. At first, the donuts and holes will sink to the bottom of the pot. After a couple of minutes, they will rise to the surface. Turn them over and fry them another minute. Using a slotted spatula, lift the donuts and holes from the oil and place them on paper towels to drain. A minute later, move them to the cinnamon sugar, turning them over to coat all sides. Move them to a clean platter. They can be eaten immediately, or cooled completely and stored in a sealed container.